This stock image model with cute socks and a cat is living her best book-reading life, but did Kelli, Susan, Mary, and Emily live their best book-reading lives in 2018? Read on to find out our opinions (good, bad, and everywhere in between) on all the books we read in 2018 and the books we’re looking forward to in 2019. Thanks to Jame over at Perpetual Page-Turner for the end-of-year survey questions. if you end up posting this on your own blog, be sure to send us the link to check it out, and of course, credit Jamie for all her hard work putting this together! Oh, and happy 2019, everyone. 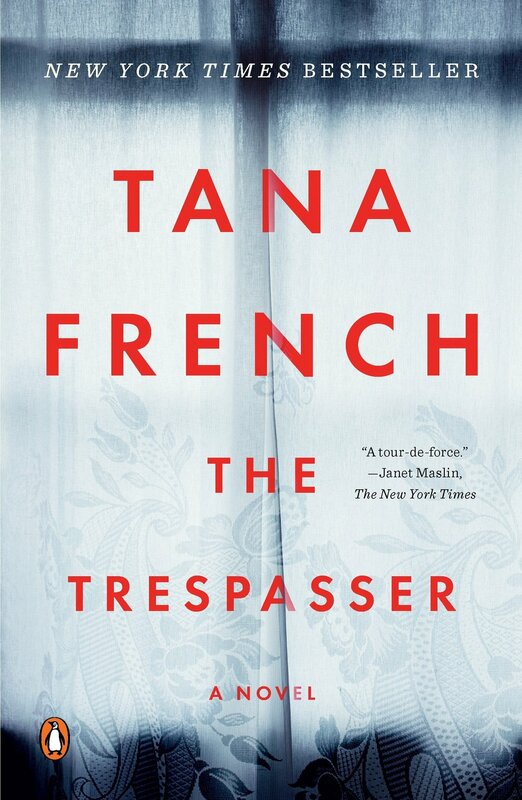 Get out your magnifying glasses because it’s time for a classic detective story as we dive into Tana French’s newest novel, The Trespasser. The #BookSquad talks about the mystery genre, the “femme fatale” character type, and subverting expectations in detective fiction. Plus, we answer the question: Just how Irish is this book? (Spoiler: Jaysus! It’s very Irish.) There’s even a new segment in this episode called Emily Recommends, where Emily tells you which Tana French book you should read next! Then we read some listener feedback from our last fullpisode on The Leftovers. After you listen to this, check out our latest content on the #BookSquadBlog, and start watching Sharp Objects if you haven’t already, because that’s what we’re discussing on our next othersode! Don’t forget to rate, review, and subscribe!